The paper sack as a competitive advantage. High-quality products – first-class packaging. Combined with exactly those additional functions that will make your customer’s life easier. Let your product shine with convenience, cleanliness or product protection. 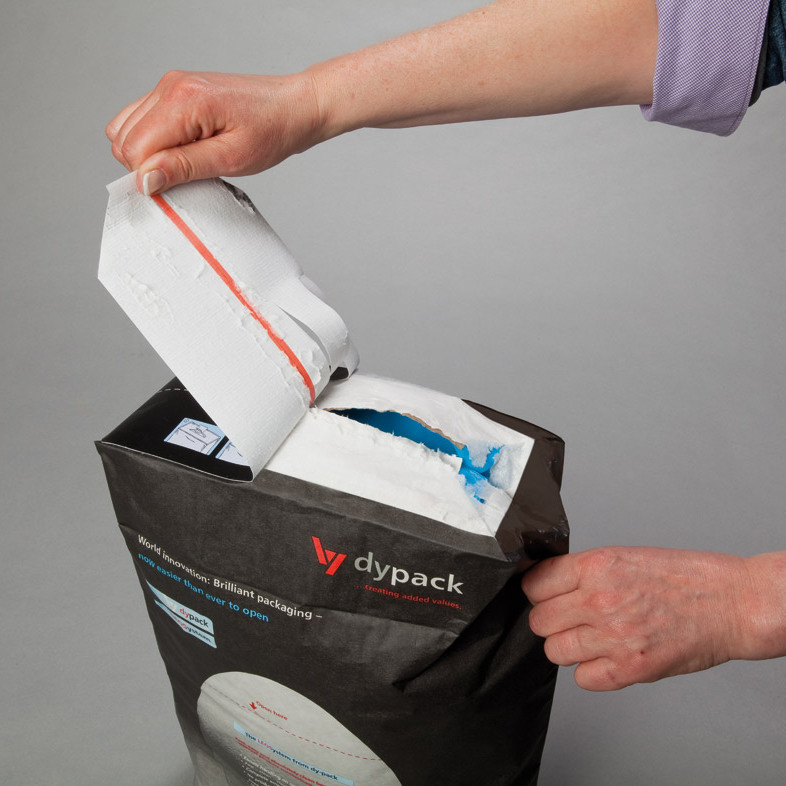 We combine different dy-pack concepts to design a perfect whole for you. Experienced marketing strategists understand the importance of packaging for the sales success of a product. Take advantage of our innovative ideas for your success. You can trust these smart ideas made of paper. Faster – cleaner – smarter than any other! 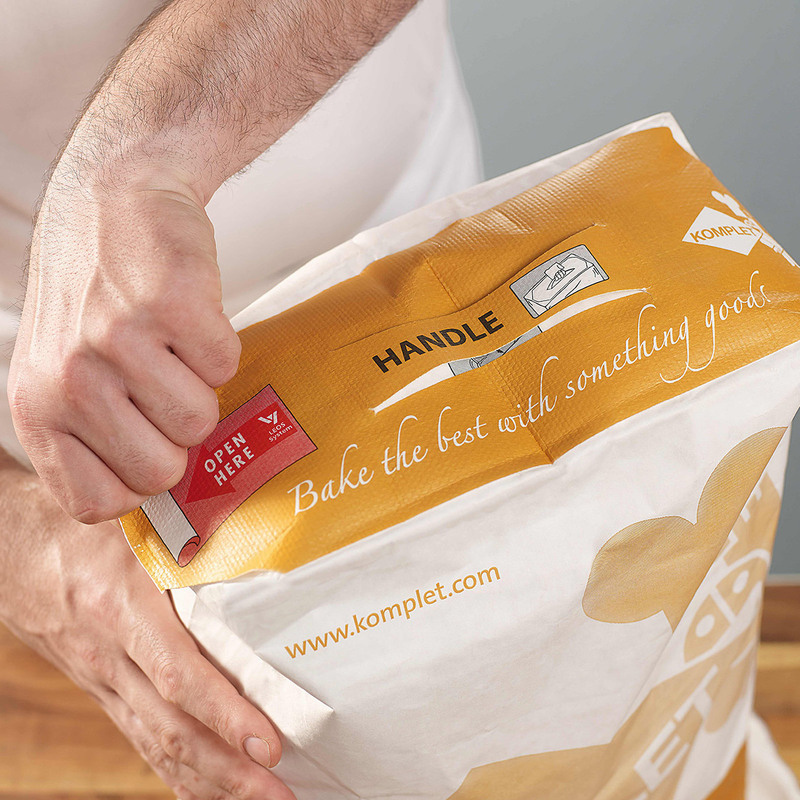 We reinvented the paper sack: Fast, easy and completely clean sack opening without product contamination! With the brand new LEOSystem you will benefit from an innovative packaging technology. Your clients will be amazed! No more complicated opening and no spilled product. Almost complete emptying – no residues in the corners. 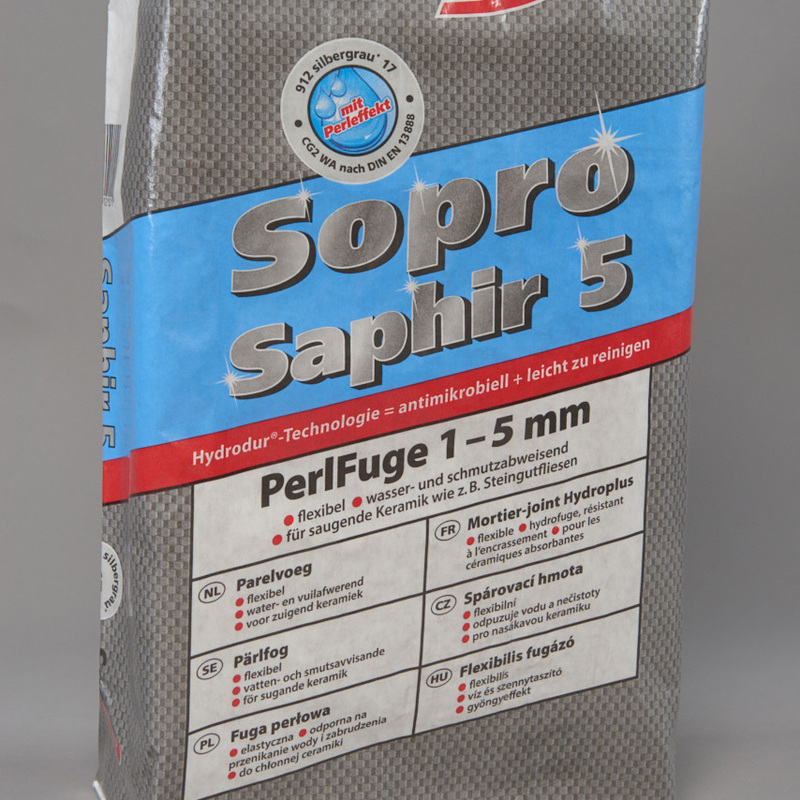 Ideal for food, building materials, chemicals and animal feeds. With the new LEOSystem, you will of course secure all other advantages of ground-breaking dy-pack technologies. Benefit from our expertise to ensure your competitive advantage. Easy and clean opening, comfortable carrying. 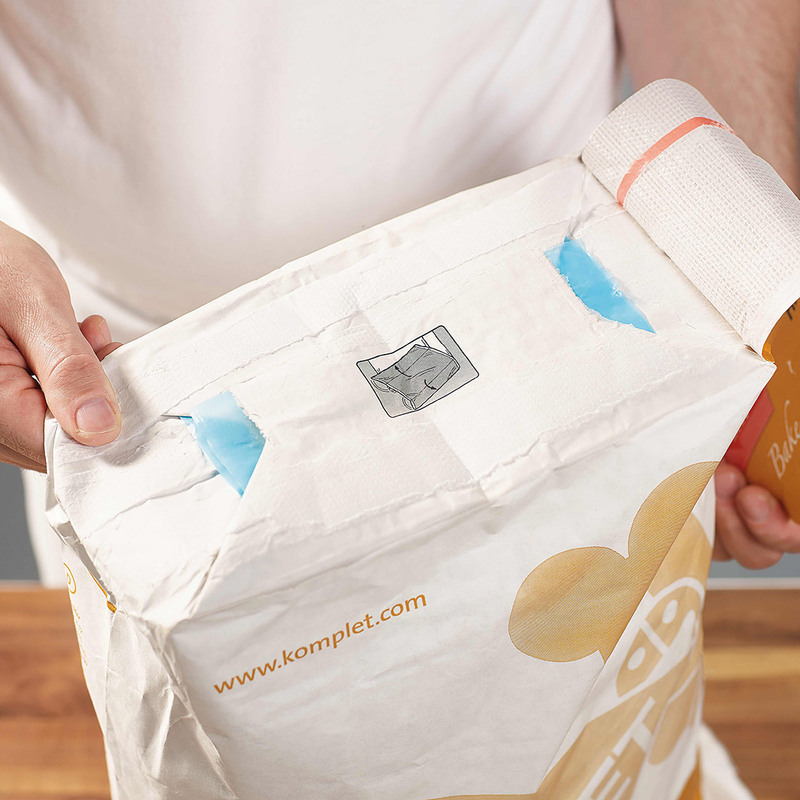 With the LEOSystem with carrying handle you can secure every many advantages of innovative packaging technology for yourself: Fast, simple and completely clean opening of the sack without tools and without product contamination. 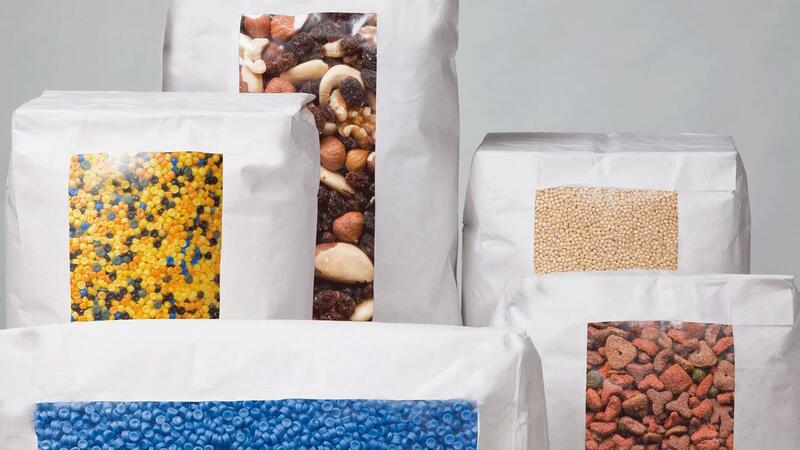 No more product spills, the sack is always completely emptied. Moreover, the practical handle offers maximum carrying comfort during transport. Fully airtight sealing for filling temperatures of up to 160 °C. A profitable innovation for you: with dy-pack’s heat-resistant valve closures, you can increase your filling plant’s efficiency significantly. Costly and time-consuming product cooling is eliminated, allowing you to fill directly at a product temperature of up to 160 °C! The best part: No need to retrofit your plant. dy-pack Thermal valve sacks are sealed using a high frequency ultrasonic welding machine. Your advantage: elimination of loss of product during filling or storage. Furthermore, humidity absorption is considerably reduced compared to traditional valves. 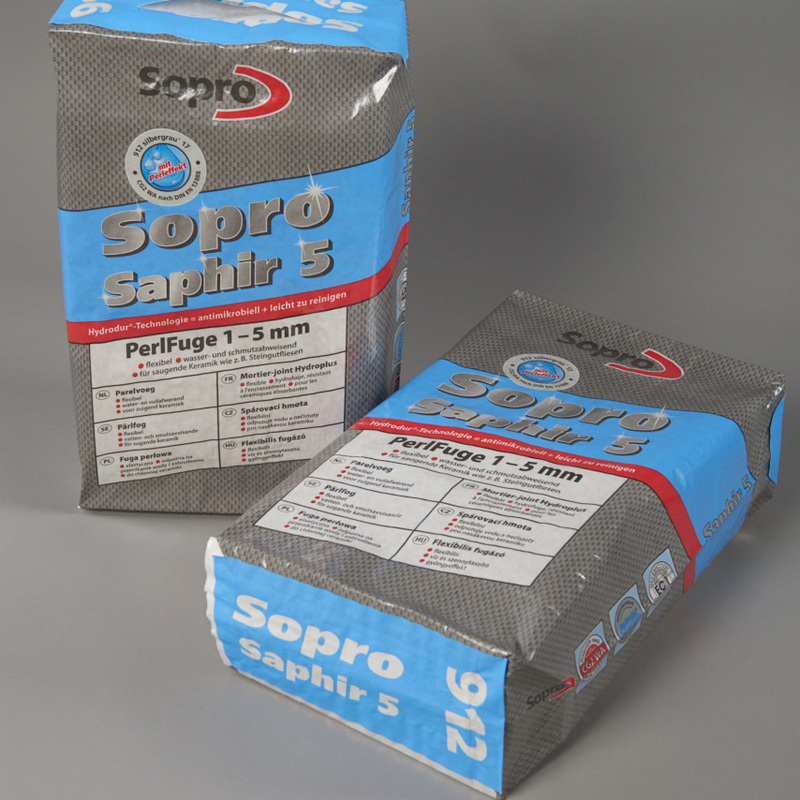 Rapid deaeration and optimum humidity protection. A double overlapping film layer with an air release system ensures optimum humidity protection with fast deaeration. The fast release of air increases the filling density and improves the accuracy of the fill weights. Perfectly filled, stable sacks allow for a perfect presentation on the pallet. 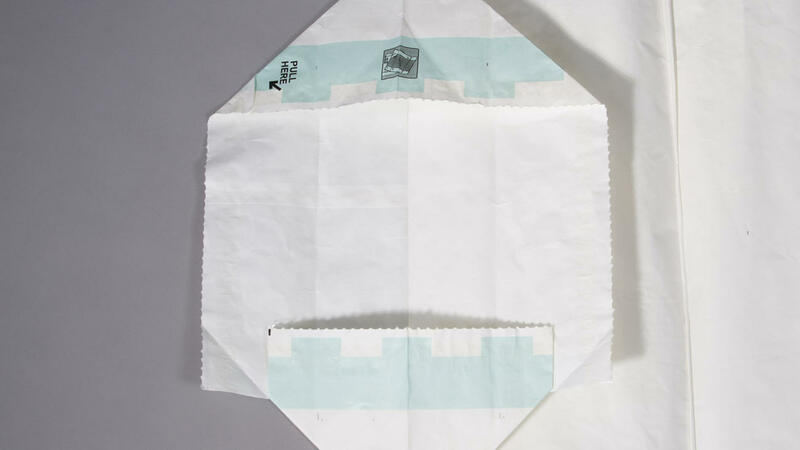 A cleaner sack: Using the double overlapping film reduces the overpressure in the sack during filling. Your production line and the palletised sacks will be much cleaner. Safer handling in any weather. aqua res is the dy-pack innovation that can withstand wind and weather. 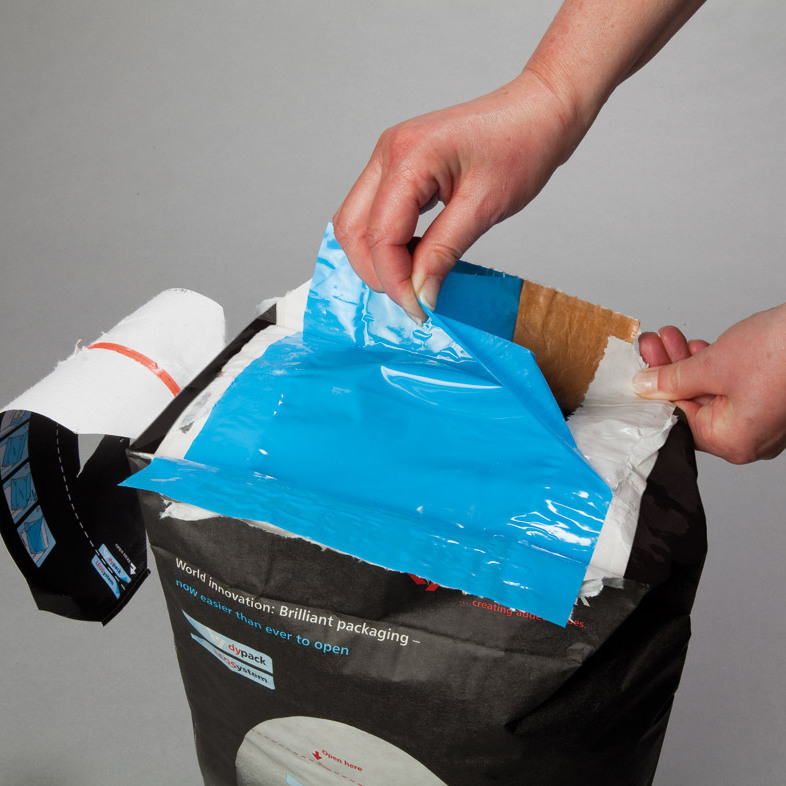 The all-weather sack with its breathable surface coating is recyclable and the ideal alternative to plastic bags. Its strength, even in wet conditions, beats conventional sacks hands down. aqua res has no perforation but deaeration is nevertheless ensured. 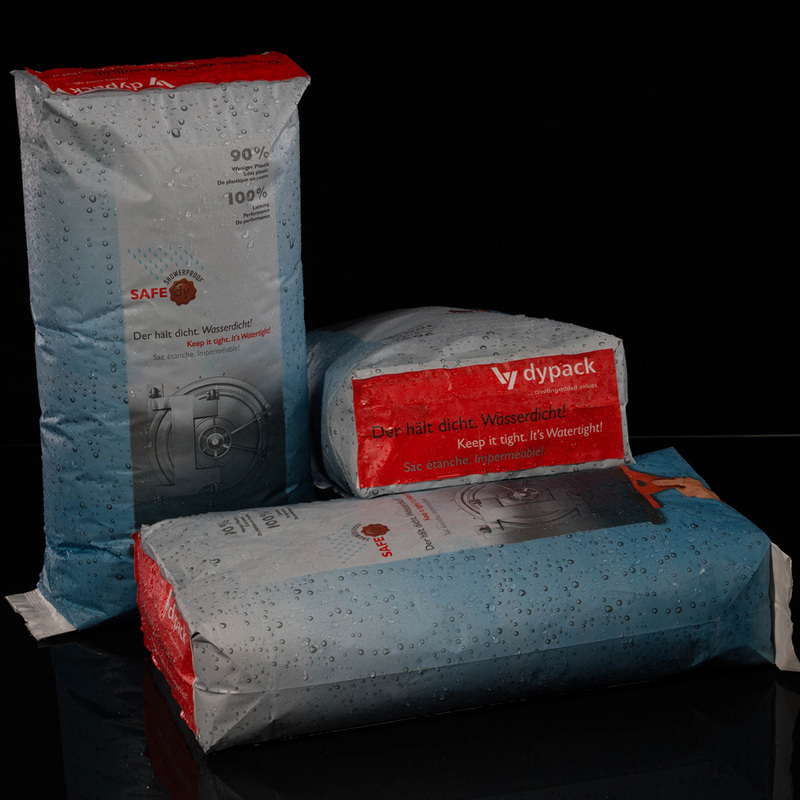 dy-pack aqua res should always be used if sacks are exposed to wet weather or stored in damp conditions. 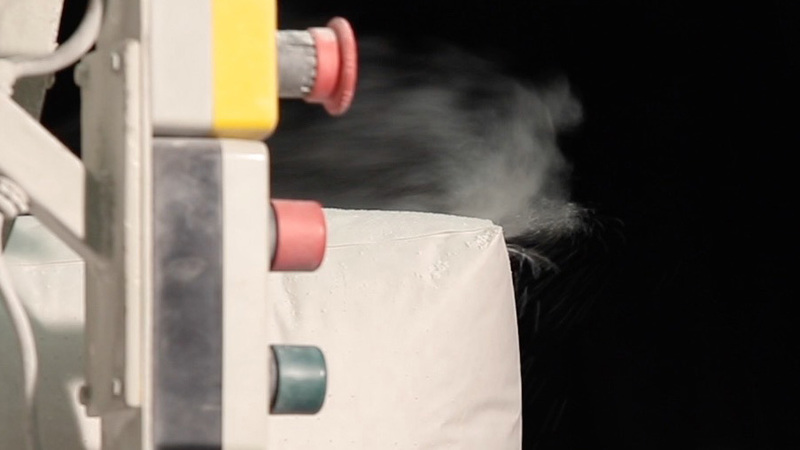 The all-weather sack promotes ease of handling, protects the product against potential condensates, and is environmentally friendly and recyclable. 90% less plastic, 100% weather protection. Whether you are storing your products indoors or outdoors: Your product will no longer be affected by moisture thanks to SAFEdy Showerproof. 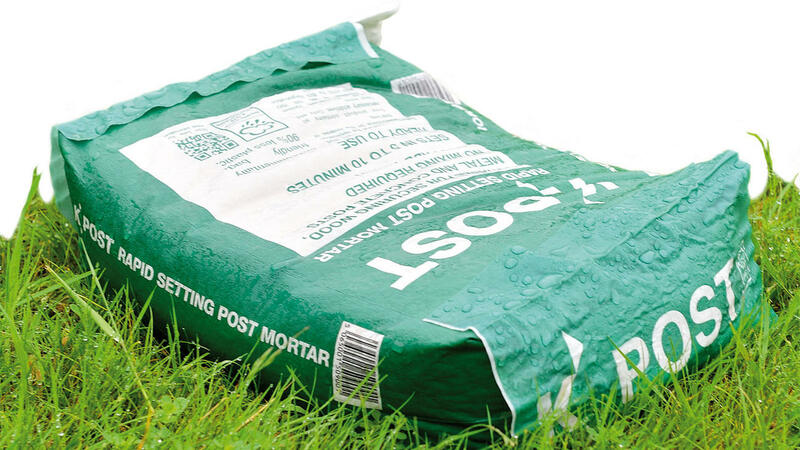 Intelligent coating concepts do not let any moisture in, even if you store your sack outdoors for extended periods of time. At the same time, the sack is recyclable and thus far superior to plastic bags. And the best part: Even in the harshest environments, SAFEdy Showerproof has passed the field test with flying colours. Product protection with a promise. 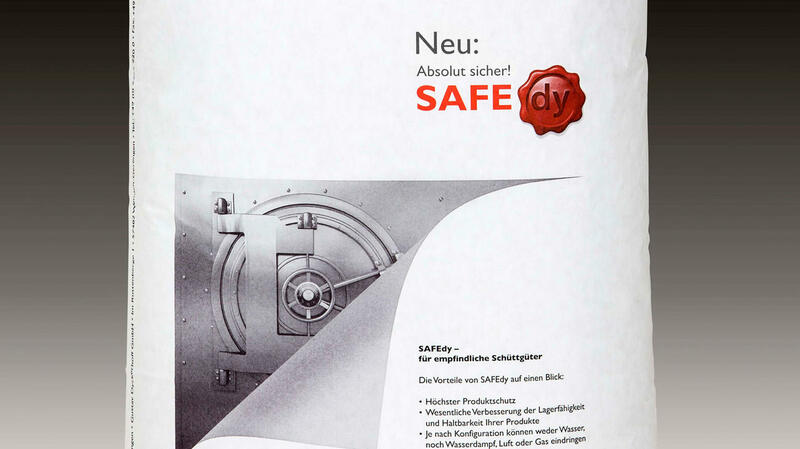 Utilise its inner strength: SAFEdy provides maximum product protection through aluminium films and other special coatings. 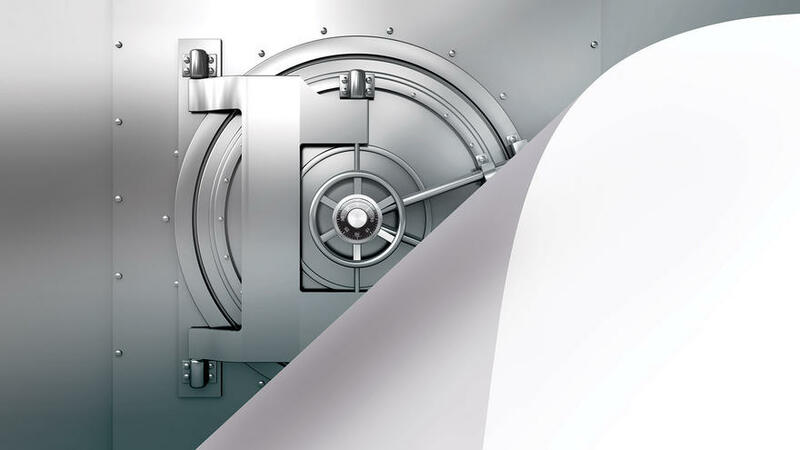 Neither water nor air nor gases come into contact with your product, thus, optimising storage security, shelf life of your product – and of course the safety of your customers. Whether you are looking for aroma protection for foodstuffs, odour protection for ingredients or a gas barrier for products that age quickly or react in the open air: The design can be individually tailored to your needs – providing absolute SAFEdy! Optimum air permeability and paper strength. 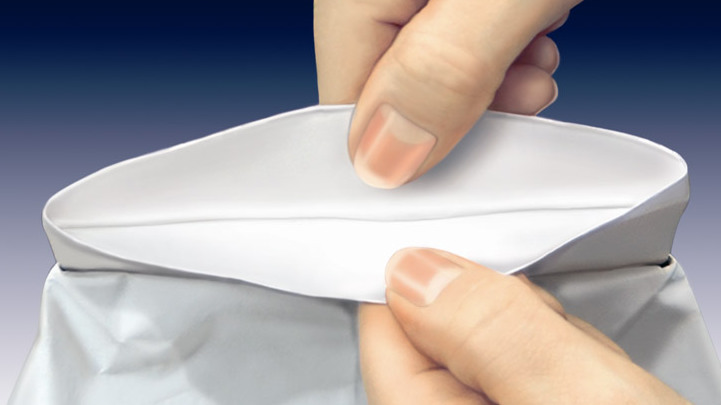 Swift release of air without downgrading the tensile strength of the paper. That was the market requirement and we have met this challenge with an evenly distributed perforation over the entire outer surface – Nano® Perforation 4. Swift deaeration is achieved as desired and reduction of paper grammage becomes possible. 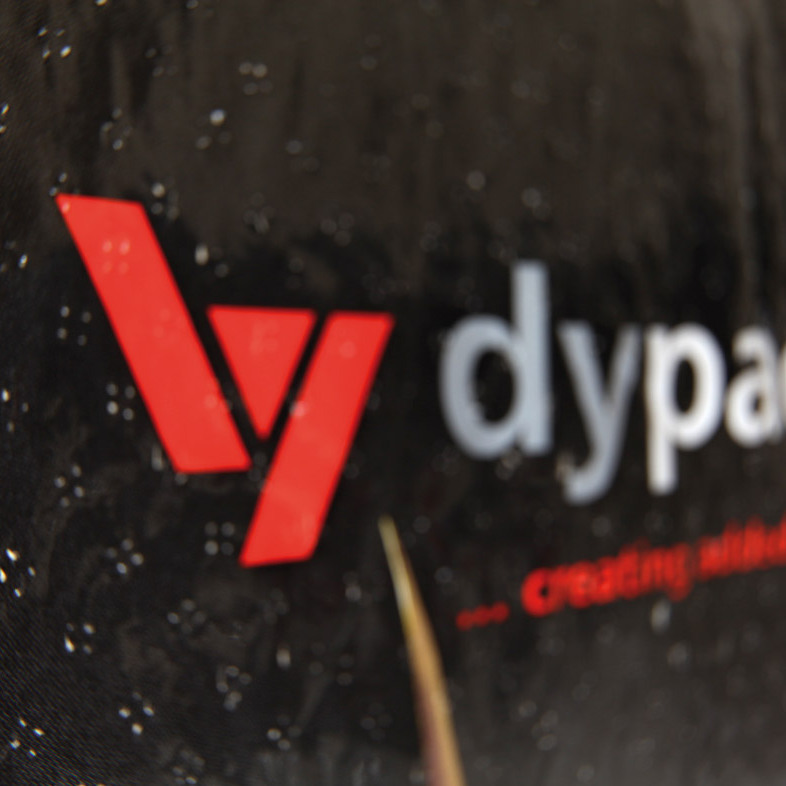 dy-pack has developed tools which make it possible to apply Nano Perforation to a defined area for the first time. 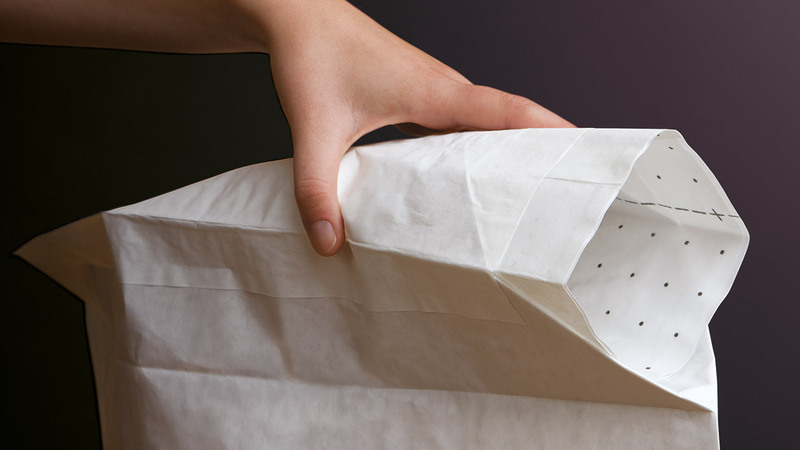 The objective is that as small an area as possible is exposed to moisture ingress by ensuring that the perforated areas are covered by other sacks when palletised. 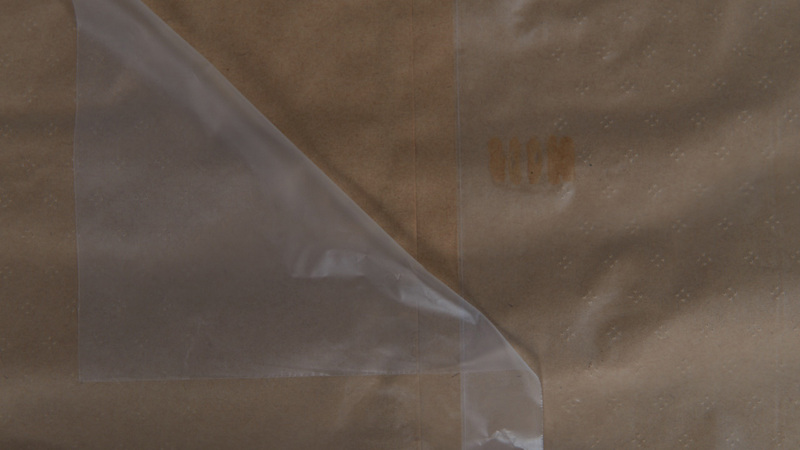 Unprotected areas on top and bottom of the sack remain unperforated. 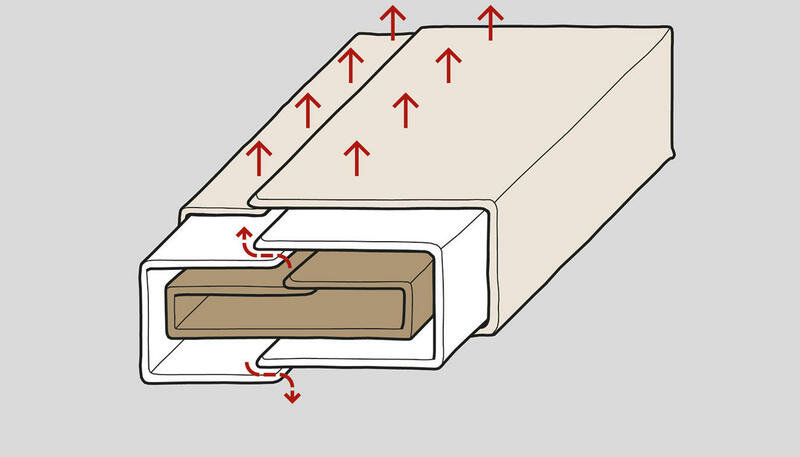 By using these variable techniques, moisture absorption is significantly reduced. Dust-free from filling to customer. 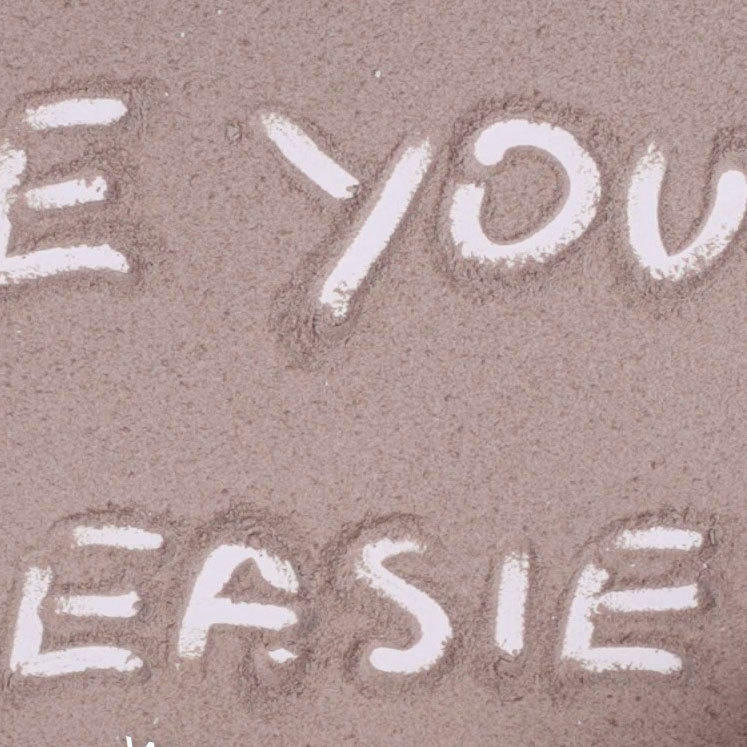 You have no desire for customer complaints about dusty sacks? You want to do without dust and loss of product from the time of filling? If so, dy-pack’s Tidy system is the perfect choice for you! 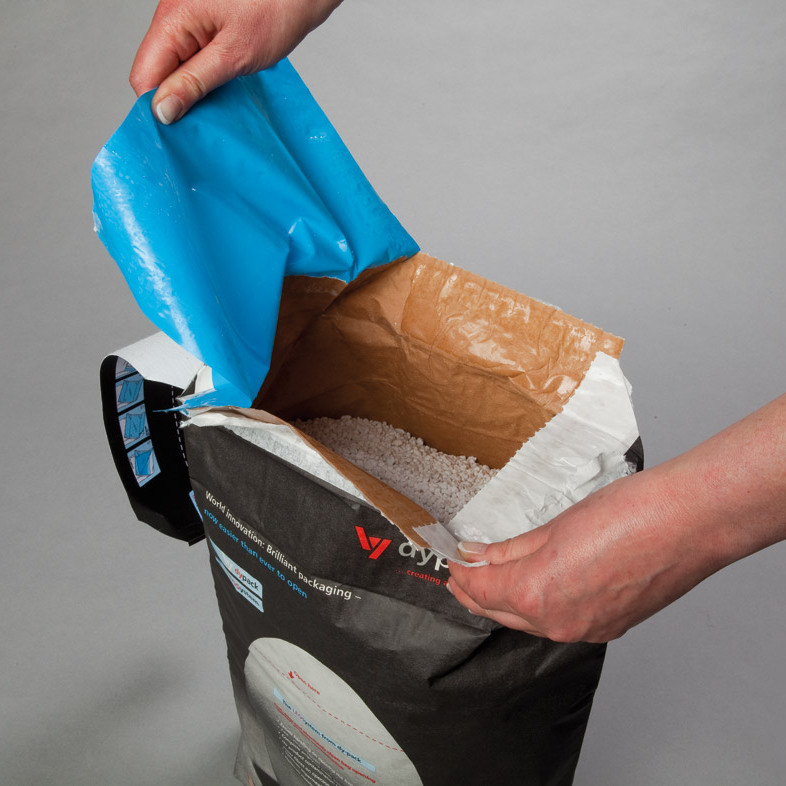 Thanks to the extremely robust sack design and optimised impermeability with additional adhesive surfaces, Tidy is completely dust tight, even under maximum filling pressure. Dusty filling stations are a thing of the past! The system lives up Tidy’s promise to the filler – and through the supply chain – all the way to the customer. Dust- tight for the sack’s lifetime. 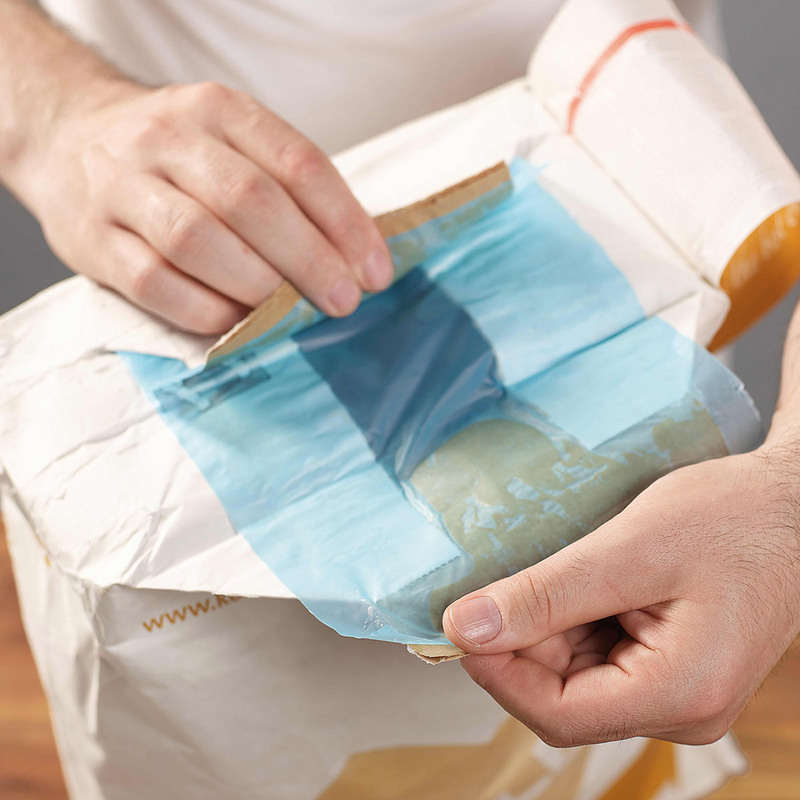 Your customers can see at first sight what they are buying thanks to dy-pack clear. The transparent panel suits all products where visibility promises a marketing advantage. If content visibility offers an additional purchase incentive, then dy-pack clear is the right choice for you. As it is grease proof, dy-pack clear is ideal for animal feeds or foodstuffs containing fats such as cocoa or milk powder. 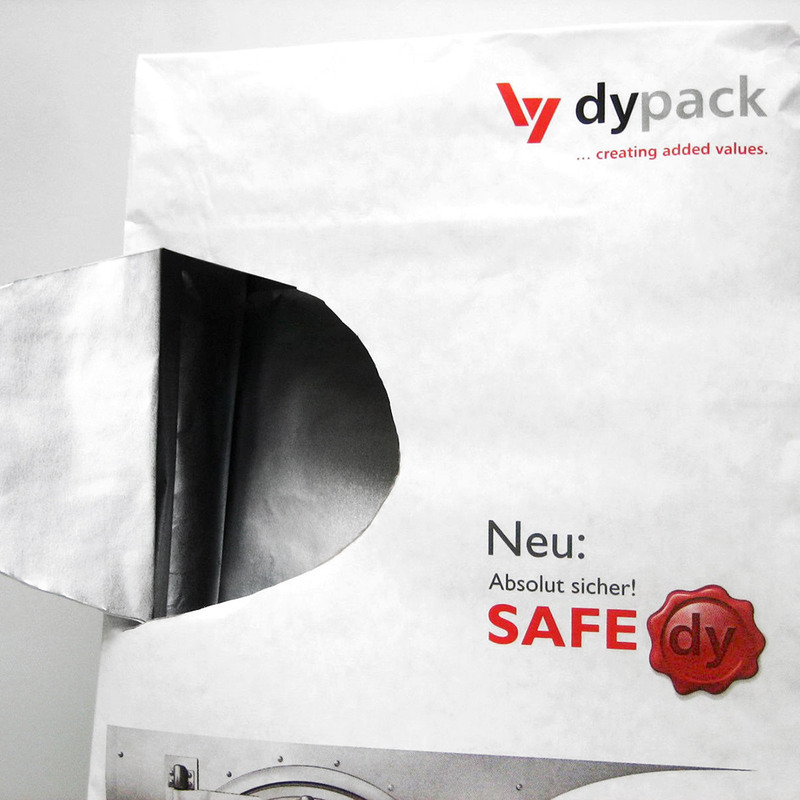 Other fields of application for the dy-pack clear packaging concept include building materials, chemicals, animal bedding etc. Bright prospects for paper sacks. The best product presentation is essential for sales success. 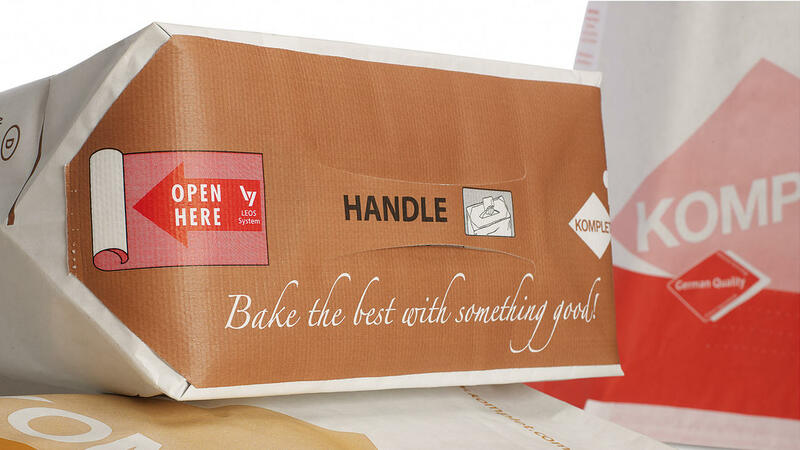 Packaging with glossy outer coating presents your product in the right light. 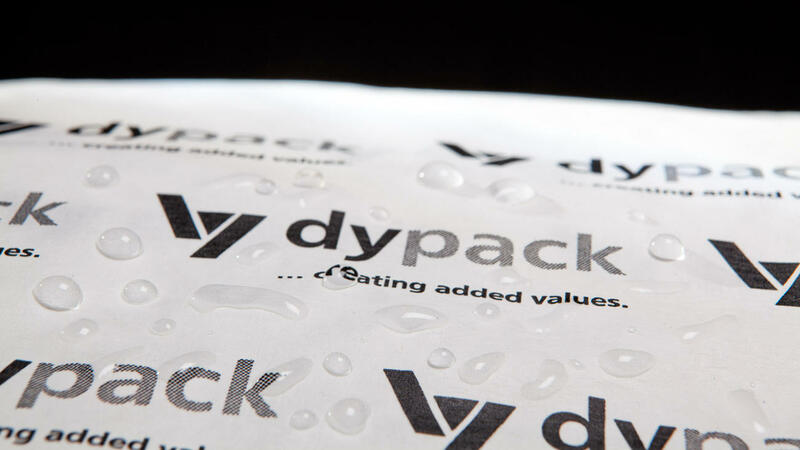 With dy-pack brilliant, you can accurately reflect the possibilities of your product. You can thus maximise the sales potential of your entire product range. 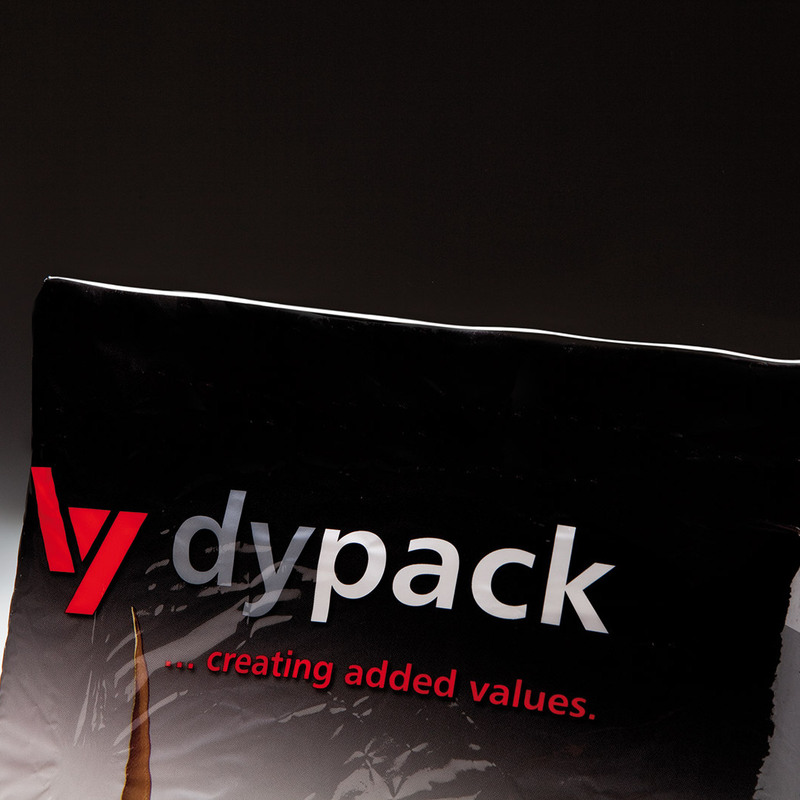 dy-pack brilliant can be used whenever, maximum impact packaging, presentation is essential for sales success. Less paper – Lower costs. 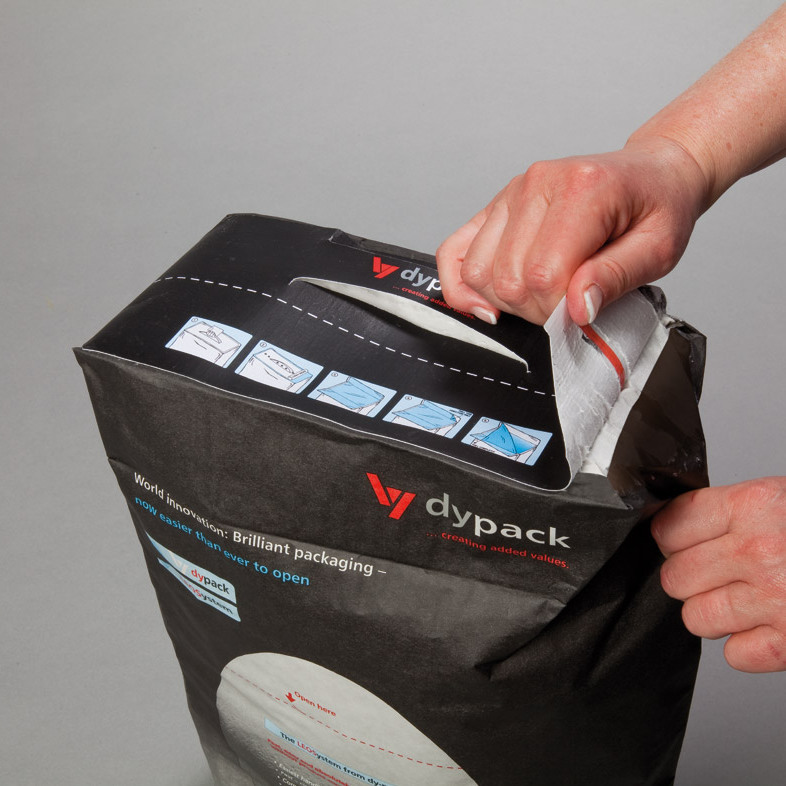 dy-pack Lightweight is a concept that not only significantly reduces the amount of paper used, at equal performance, but also reduces total costs. Less paper = lower logistics costs and cheaper disposal. 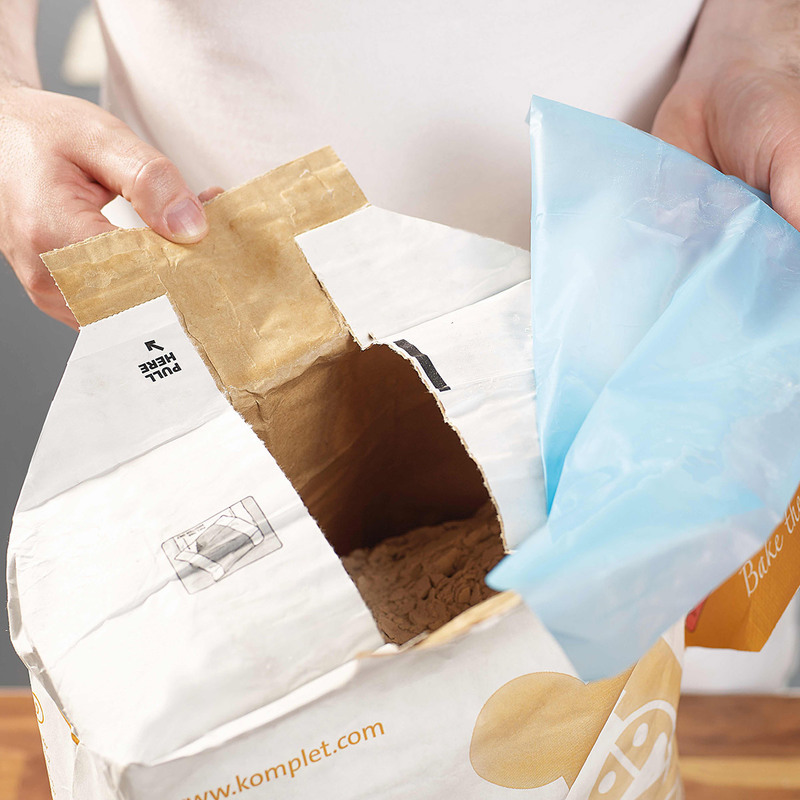 High-performance quality paper makes it happen: Creating a sustainable packaging concept with lower grammage without downgrading the sack’s strength. You protect the environment and your wallet. A win-win solution for all involved. Save more – with Prody films. Prody films are used as a supplement to the Lightweight concept for products requiring special humidity protection. The advantage: Once again, thinner films can be used to extend the idea that “less is more”. Using high-density HDPE films, the same principle is applied as with the lower paper grammage: lower weight, less plastic, same product protection.